CKD had already began studies to replace the LT vz.35 by 1935, which led to several prototypes. In an effort to finance future production and part of the development at affordable costs, export versions, under the factory name “TNH“, were designed, revised under contract, and sold in moderate quantities to many countries. These included Iran (TNHP), Peru (LTP), Switzerland (LTH, then renamed Panzer 38, and G3 after the war), and Lithuania (LTL). Unfortunately for the latter, deliveries didn’t take place before the invasion by the USSR, and the vehicles were later sold to the Slovakian army as the CKD LT vz.40. Sweden, a competitor on the tank market, also delivered engines for some these exports. They ordered a single TNH-S built with a Scania-Vabis engine for extensive testing. After the collapse and occupation of Czechoslovakia, they purchased 90 TNH-S, but the delivery was seized by the Germans, which renamed this series Panzer 38(t) Ausf.S. Nevertheless, the Swedes were compensated with a production licence and built the Strv m/41 and the Sav m/43 SPG in 1943-44. Around 274 of both versions left the Scania-Vabis factory. The CKD (Praga) LT vz.38 design was straightforward and only based on well-proven solutions. The most distinctive features was its suspension, consisting of two-pairs of cold sprung bogies with massive roadwheels. The size of these was seen as a benefit for protection, ease of maintenance and cost, compared to the over-complicated wheeltrain and suspensions system of the LT vz.35. It was an inspiration for the German designers of the Panzer II. However, they used a torsion arm system instead. The hull was mostly riveted, compartmentalized, with the engine at the rear and a transmission tunnel running to the front drive sprockets. The THN late export versions had three return rollers, but the LT vz.38 had two, the rear one being dropped and the relatively narrow tracks, lightly tightened. Armament comprised the fast-firing Skoda A7 37 mm (1.46 in) gun with 90 rounds, both HE and AP. It was flanked by an independent ball-mounted compact Škoda vz.38 machine gun, a second one being mounted in the bow. Total provision for these was around 3000 rounds. The TNHPS, or LT vz.38, was poised to enter service with the Czech army. On July, 1, 1938, 150 were ordered, but failed to be delivered because of the German invasion. Many vz.38s of the first original batch were later given to the Slovakian army. Although the Germans were impressed by the design, the Praga-Škoda lines were reorganized under their control, and the design of the new LTM 38 was revised while production was running. Modifications included a rearranged and roomier turret, holding a third crew-member, the commander being spared of any other tasks. Also added were an intercom system, a new German radio set, a revised commander cupola, modified sights, and new external fixations. 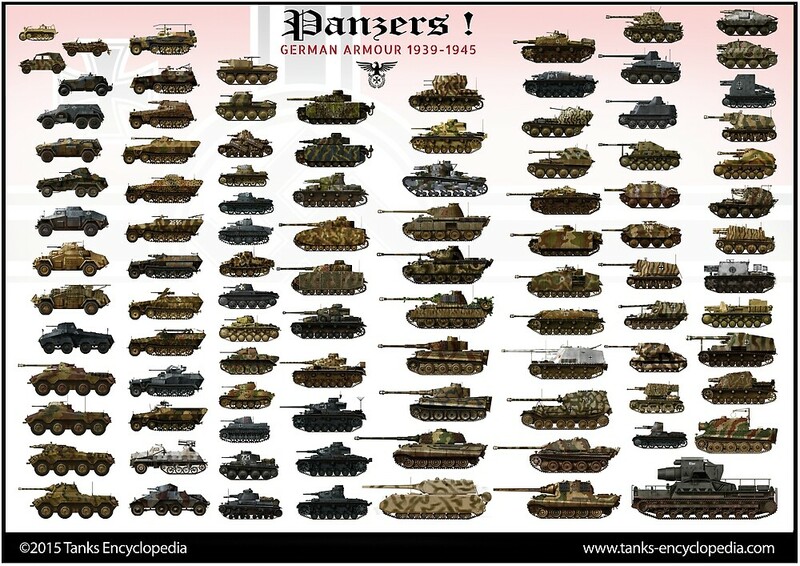 These vehicles were renamed Panzerkampfwagen 38(t) in January 1940. Despite the fact that no less than eight main versions (Ausführung) of the Panzer 38(t) existed, not including the Ausf.S intended for the Swedish army, there are few differences between them, even to an exerted eye. The first Ausf.A (entirely riveted construction) was produced to an extent of 150 machines from May to November 1939, and the next batch of Ausf.B (110), C(110) and D (105) were produced from January to November 1940. They were very similar, except for some detail modifications, like external fittings, improved commander cupola, sights, a new headlight and a half-riveted, half-welded construction. But all had in common the main Czech Skoda KwK 38(t) L\48 gun and two vz.38 machine guns. Protection was slightly improved, but was limited to 30 mm (1.18 in). 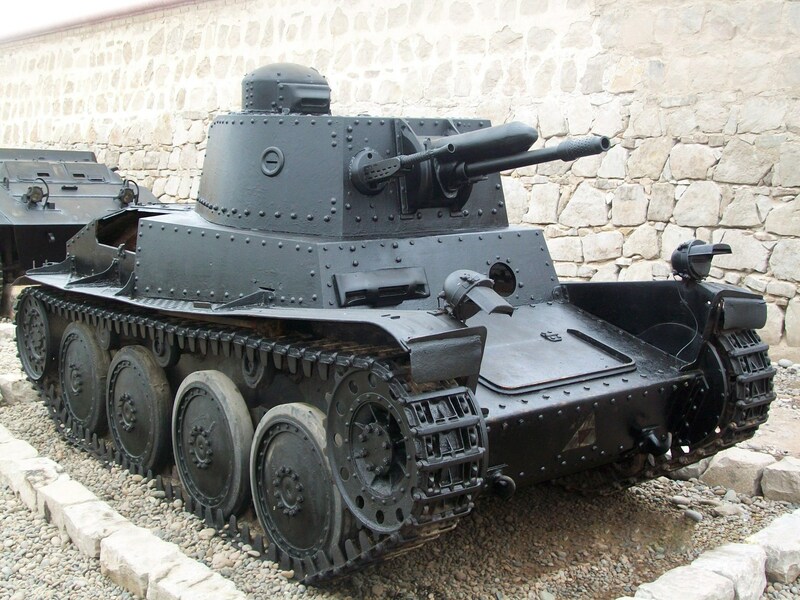 The Ausf.E(275) and F(250), built between November 1940 and October 1941, were up-armored to 50 mm (1.97 in), with an extra bolted-on 25 mm (0.98 in) appliqué armor on the frontal glacis. The turret mantlet and front were also thickened. New larger storage boxes and fixation points were added on the mudguards. The Ausf.S (May-December 1941) was an offshot initially built for Sweden, but confiscated and incorporated in the Wehrmacht. The Ausf.G was the last “regular” version, with the same armor, but better protection distribution and a nearly all-welded hull. This was the most prolific series, 321 being delivered by CKD-Praga from October 1941 to June 1942. 179 more were delivered as chassis and later transformed into SPGs. After that, new up-armored chassis (Ausf.H,K,L,M) were used for conversions. 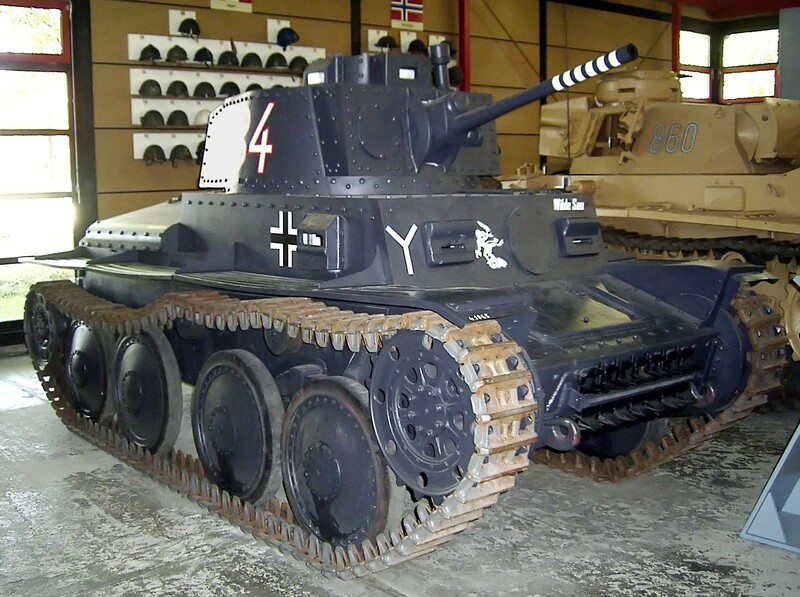 The Panzer 38(t) came as a welcome addition to the existing models. They equipped frontline Panzerdivision units, but were not tactically used in the same fashion as the Panzer I and II. They were mostly involved in vanguard and flanking actions, where their antitank capabilities and better protection made them suitable for providing local infantry support and to deal with most light tanks and armored vehicles. They earned a high reputation of reliability among tank crews, and were simple and easy to maintain and repair. They were also agile and sturdy, with finely tuned components and a generally excellent building quality. Their limitations appeared on the Eastern Front in 1942, when dealing with more and more T-34 tanks, as the shortage of medium tanks meant the Panzer 38(t) was often engaged in desperate situations against vehicles which it was not designed to deal with. The first Ausf.As saw action in Poland with the 3rd Leichte Division. In Norway, they formed a large part of the XXXI Armee Korps. In France, they were engaged mainly with various units of the 6, 7 and 8th Panzerdivions, and later with the latter unit in the Balkans, April-May 1941. But the real test came with Operation Barbarossa, were they equipped the 6th, 7th, 8th, 12th, 19th and 20th Panzer Division. It was clear by 1942 that their capabilities were limited in regular combat, and they were more and more relegated to pure reconnaissance missions and rearguard actions. By then, CKD Praga-Škoda proposed a new modernized version, the Pz.Kpfw.38(t) nA (or Neuer Art), but this version was rejected and instead the production of chassis turned to other, rather successful variants. They were also largely distributed to other Axis countries, including Hungary (102), Slovakia (69), Romania (50) and Bulgaria (10). All fought on the Russian front, until the very end of the war. The Praga/Škoda Panzer 38(t) proved to be a reliable platform, declined into all kinds of vehicles the Wehrmacht required during the war. For example, the Sd.Kfz. 138/139 (Marder III), using a German 75 mm (2.95 in) or a Soviet 76 mm (3 in) gun, were early generation tank-hunters, improvized SPGs with weak armor, replaced later in the war by the mass-produced Jagdpanzer 38(t). This derivative was a highly successful, sleek and sloped, low-profile, tank hunter. SPGs, AA, scout, recovery and command versions were also produced in great numbers. In total, the two Czech industry giants, Škoda and Praga-CKD, produced around 6591 AFVs derived from the original chassis under German occupation, including the “standard” Panzer 38(t). At the same time, conversions meant that 351 surplus turret had to be reused, mostly in fixed positions, fortifications and pillboxes in many occupied countries, like along the Atlantic wall. Prototypes included the Morsertrager 38(t) Ausf.M, Schwerer and leichter Raupenschlepper Praga T-9, Munitionsschlepper 38(t) and the Befehlswagen 38(t). The tender version which accompanied the Grille, which had no room to carry their ammo. Around twenty built in 1944 on late Panzer 38(t)s.
A salvage version. Around 170 were converted using existing chassis in 1944-45. Some chassis (perhaps 100-150) were converted in late 1942 and 1943 as training turretless tanks. LT vz.38 under Slovakian colors, 1940. None of the models were delivered in time to enter service with the Czech army. 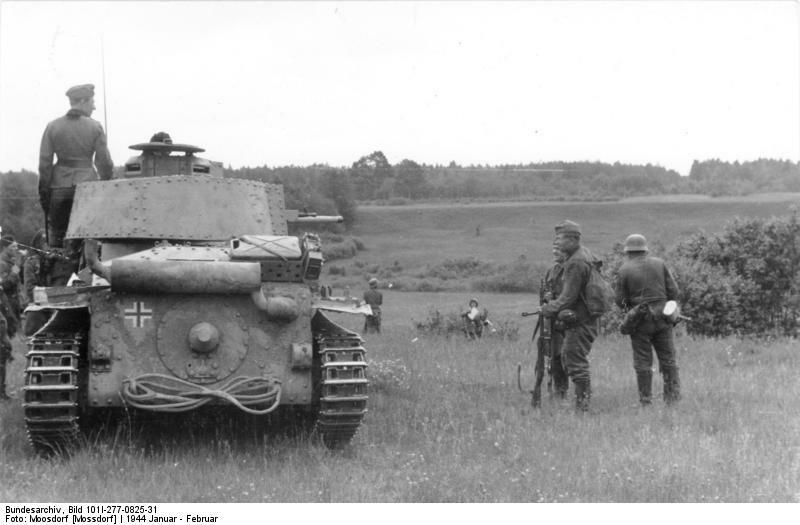 Panzer 38(t) Ausf.A, Polish Campaign, September 1939. Panzer 38(t) Ausf.B, Rommels’s 7th Panzerdivision, French Campaign, May 1940. Panzer 38(t) Ausf.C, 8th Panzerdivision, French Campaign, May-June 1940. Panzer 38(t) Ausf.D, the last version armored with 30 mm (1.18 in) of maximum armor, Moscow, Russia, winter 1942/42. 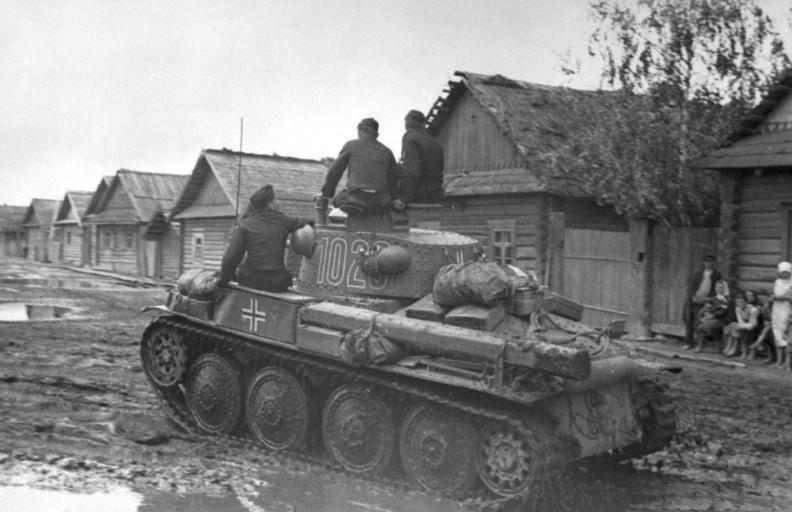 Ausf.E in Russia, autumn 1941. Panzer 38(t) Ausf.F, 20th Panzerdivision, Kharkov sector, summer 1942. The sand beige livery was not unusual in the Southern Ukrainian steppe. A Panzer 38(t) Ausf.G, western Ukraine, summer 1943. The G was the last and most prolific version. Production stopped in June 1942. By then, surviving units were used only for reconnaissance and anti-partisan warfare. Panzer 38(t) Ausf.G, Royal Hungarian Army, 30th Tank Regiment, 6th Company – 1942, Don area, Russia. Aufklärungspanzer-38(t), a 1939 derivative of the Panzer 38(t) used for quick reconnaissance on the Eastern front. Contrary to the usual wheeled SdKfz 221/222/223 this tracked vehicle could cope with muddy or snowy terrain. A famous derivative, the Jagdpanzer 38(t) (Sd.Kfz. 138/2), also incorrectly known as the Hetzer. This was the most popular offspring of the Panzer 38(t) family, being produced up to 2800 machines by CKD-Skoda until the end of the war. It was armed with a 75 mm (2.95 in) Pak 39 L/48 and protected by well-sloped 40-60 mm (1.57-2.36 in) of armor. For the second vehicle, the Ausf. A, shouldn’t it have all white crosses for the Polish campaign? Hi, would you add Flakpanzer 38(t) Sd.Kfz.140 Ausf.L Gepard picture too? I noticed a small amount of contradicting material, did it have a crew of 4 as it is said in the specifications, or 5 crew members (Production under German supervision). Unless they were okay with that intense level of pain. Great site! I have a question. In the game World of Tanks, the Pz 38t has a slightly smaller barrel-like protrusion just above the main gun. What is this? I don’t see such a thing on any of the 38t pictures of real tanks. Thanks. Yeah, they seem to be using the Panzer 35(t)’s gun, which did have it. That is a gun recuperator. It’s job is to absorb part of the recoil and get the gun back into position after firing.